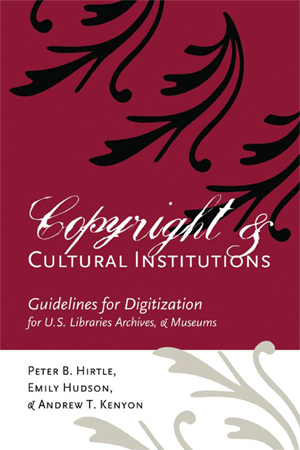 From Cornell University – Copyright and Cultural Institutions: Guidelines for U.S. Libraries, Archives, and Museums. Download it at eCommons@cornell.